This picture looks really weird on my computer, hopefully the color is better on everyone else's. 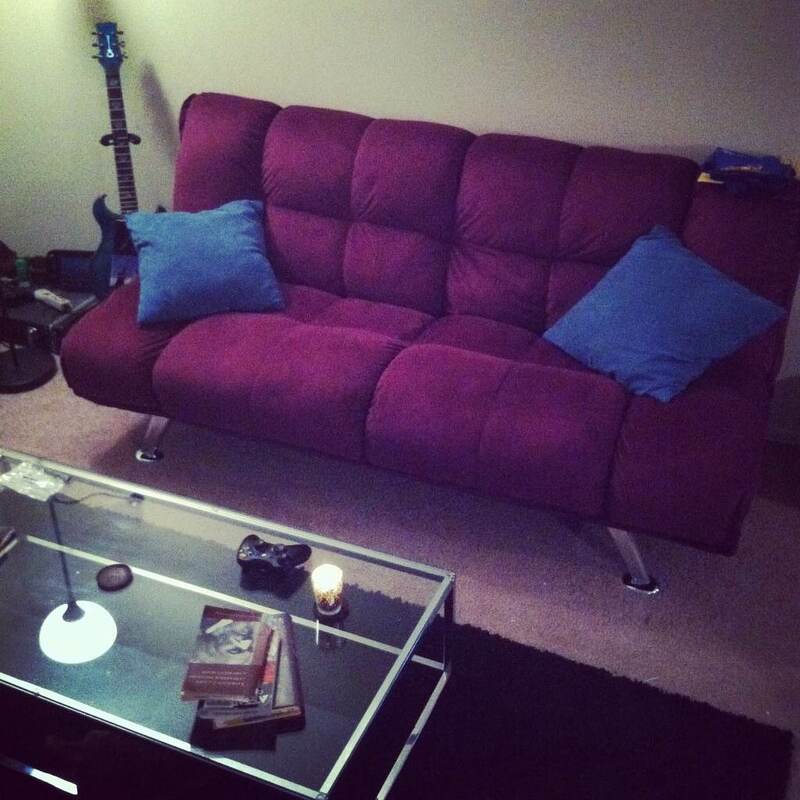 It's a medium purple couch with teal pillows. It looks like those purple and teal Poptarts and it matches my awesome teal guitar! :] I'm really excited that our apartment is finally starting to come together. The glass table and the rug are some of the things we got from the bf's bandmate. Still have a long way to go but I love my little cozy spot! Also Target has really cute $3 candles right now that I want like 10 more of.